It seems like every week, another restaurant chain is making headlines for a foodborne illness or stock withdrawal. At the same time, increasingly quality-conscious consumers hold restaurants to higher standards than ever. When managing complex modern food supply chains, how can restaurants reassure skeptical customers? Here are five ways restaurant food safety and quality experts can strengthen trust in their businesses and their industry. Get everyone in the organization on the same page when it comes to standards and processes. Educate everyone—from executives and managers to servers and kitchen staff—about the principles driving your safety and quality mission. Listen to employees’ concerns and ideas about their role in identifying and capturing incidents. Open internal communication will establish a consistent vocabulary. By empowering employee advocates to articulate your brand promise, your commitment to supply chain health will carry through to customers. Instill trust by demonstrating the capacity to track the source of every ingredient on your menu. Use traceability software to account for each step in your supply chain and quickly address issues when they arise. This level of farm-to-fork intelligence will build more confident and responsive teams, which will come across when you communicate with and serve your customers. Eventually, customers will mirror that confidence back to your brand. Include your quality mission statement on customer-facing materials, but don’t stop there. Use stories, images and videos to show your practices in action. Take customers behind the scenes into internal discussions. Partner with suppliers to provide a glimpse into production processes. Solicit customer input through surveys and focus groups; listen to anecdotes from employees who interact with customers daily. As you prioritize initiatives to tackle in 2016, ask customers what matters most to them. Is it preservatives? GMOs? Animal welfare? Local ingredients? When customers are invited to join these conversations, they feel like your organization cares about them, the community, the supply chain and the environment. Combat this skepticism by showing the compassion and humanity of the individuals that make up your brand. 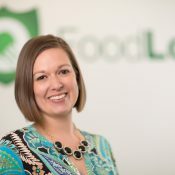 Katy Jones is Vice President of Marketing at FoodLogiQ, a food safety, quality management and traceability software firm helping the food industry support safe and high quality food products across the supply chain. She is passionate about driving transparency in the food supply and empowering consumers with the truth behind the food they eat.